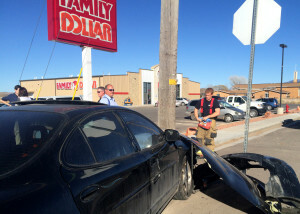 CEDAR CITY — The front end of a Pontiac Grand Prix was decimated after colliding with a GMC Yukon Denali and then careening into a power pole on the corner of Minersville Highway and Midvalley Road near Family Dollar Thursday afternoon. Two teenage women traveling west on Midvalley Road in a Grand Prix attempted to cross the highway when they crashed into the northbound Denali, Utah Highway Patrol Trooper Nathan Clark said. The driver told Clark that she did not see the Denali coming before pulling out in front of it. The front driver’s side of the Grand Prix hit the front passenger’s side of the Denali, he said, causing the Grand Prix to spin around clockwise. The Grand Prix ended up facing east with its front end heavily damaged by the power pole. 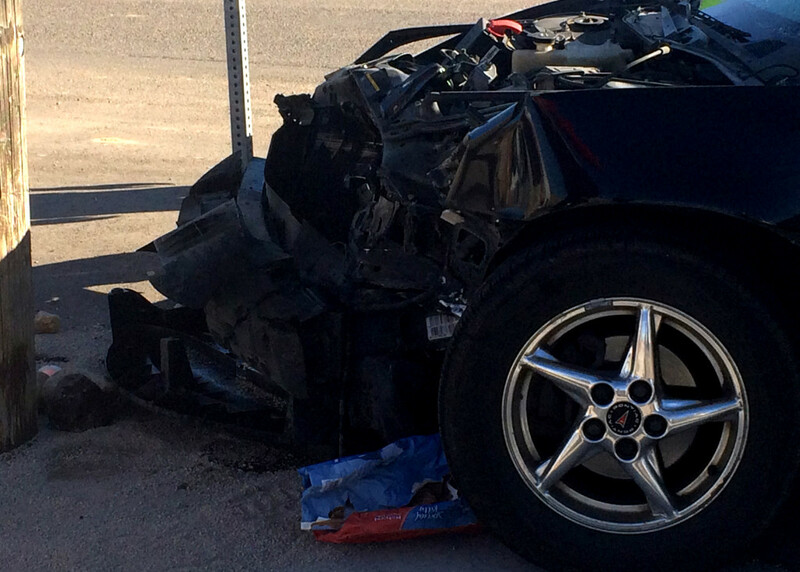 The Denali came to a stop on the shoulder of the west side of Minersville Highway facing oncoming traffic. 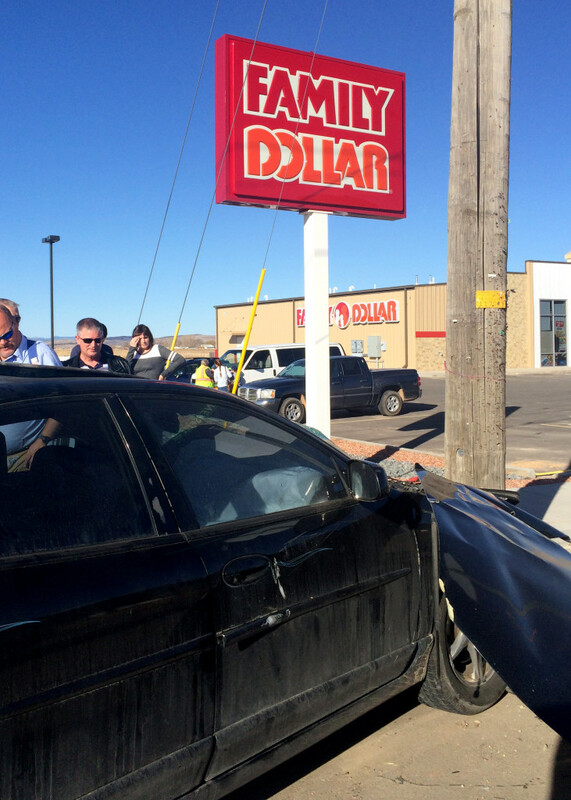 There was a woman and her three children in the vehicle, Clark said. Though significant damage was sustained to both vehicles, especially the Grand Prix, all of the injuries that resulted from the crash were minor and no one required transport, he said. Clark said he believed everyone was wearing a seatbelt. 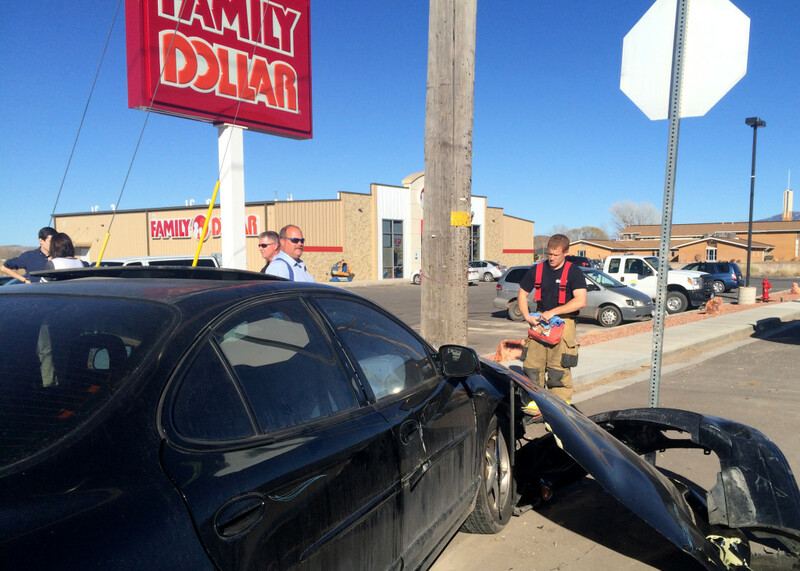 Each occupant was checked by Gold Cross Ambulance medical staff on site and released. The incident was reported to the Cedar Communications Center at 3:46 p.m., said Clark, adding the brightness of the sun may have been a factor in the crash. A citation will be issued to the driver of the Grand Prix since it was her responsibility to yield to highway traffic, Clark said. 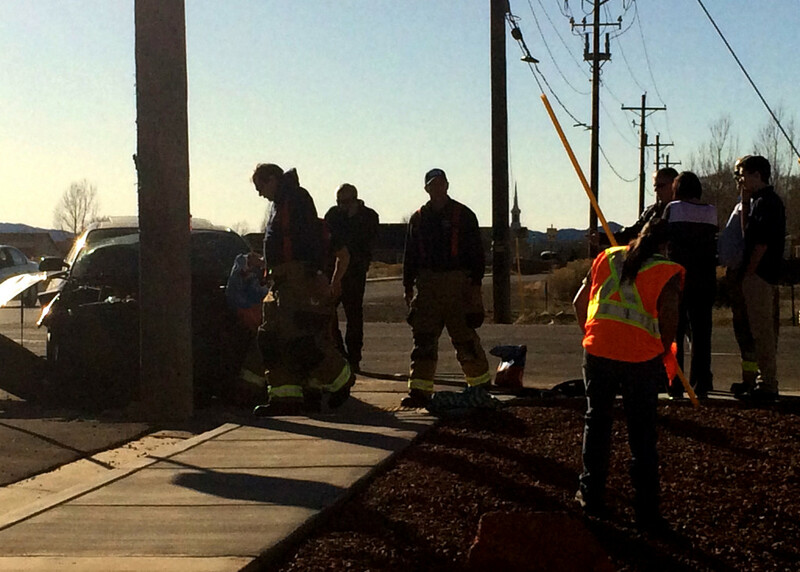 The accident remains under investigation. 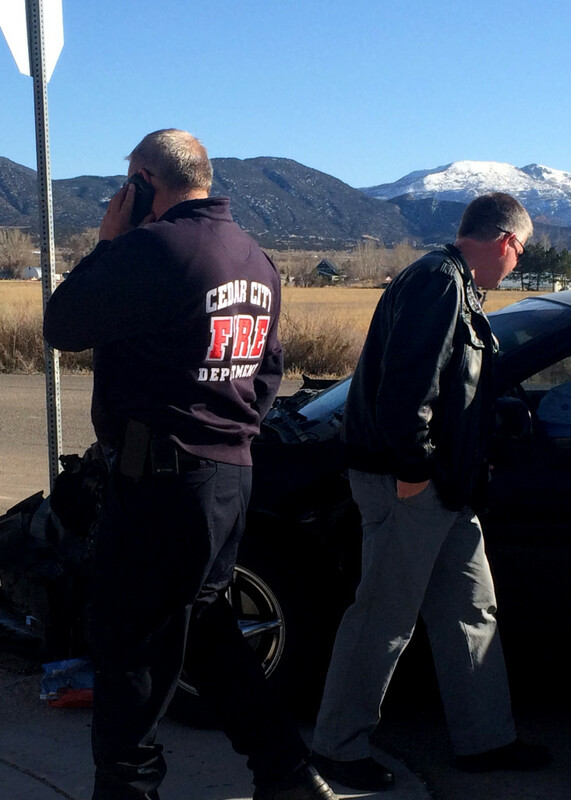 Enoch City Police Department, Gold Cross Ambulance and Cedar City Fire Department responded to assist with the accident.